Following their first album, I’m Like a Virgin Losing a Child – which gained them enough attention to perform on Letterman – couldn’t have been easy for the young Atlanta band. Luckily for them, they’ve avoided the sophomore jinx and put together a very solid second album. Vocalist Andy Hull combines the poetic and emotive abilities of Brand New’s Jesse Lacey and the Smashing Pumpkin’s Billy Corgan, not to mention that he rivals the vocal range of these alt-rock heavyweights while holding down guitar duties too. 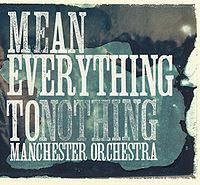 The album opening “The Only One,” with all its handclaps and driving keys, has the band sounding more cheerful than they will for any of the following songs. In the lengthy and ambitious songs that follow – especially “Shake it Out,” “I’ve Got Friends” and “Pride” – this positive vibe quickly gets overcome by tension-ridden anxiety, a sound the band does very well, and an emotion Hull reflects perfectly with his pissed-off shrieks. 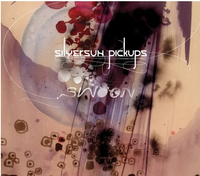 Another sophomore album coming out this month is from Los Angeles, California’s Silversun Pickups. Their grungy throwback mid-tempo rock sounds simultaneously retro and polished in the most modern fashion. When singer/guitarist Brian Aubert’s lyrics aren’t too deliberately obscure, and when his guitar isn’t too excessively distorted songs on Swoon stand out. The vocal exchanges between Aubert and bassist Nikki Monninger on “It’s Nice to Know You Work Alone” just might make you swoon. Sometimes though, the vocals get lost in the mix behind crunchy guitar strumming and songs seem to blend together in a big undifferentiated sea of distortion. Toronto’s favourite alternative hip hop star returns with an attention grabbing effort certain to find its way onto the turntables of thinking DJs across the country. 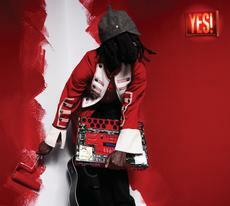 k-os has some interesting concepts in store for his listeners on Yes!, including a song sampling Phantom Planet’s “California” – yes, the O.C. theme song – and one that remixes the classic telephone message ‘we’re sorry, your call cannot be completed as dialled.’ With the sonically diverse Yes!, k-os proves that he’s not an MC being, he’s an MC becoming.